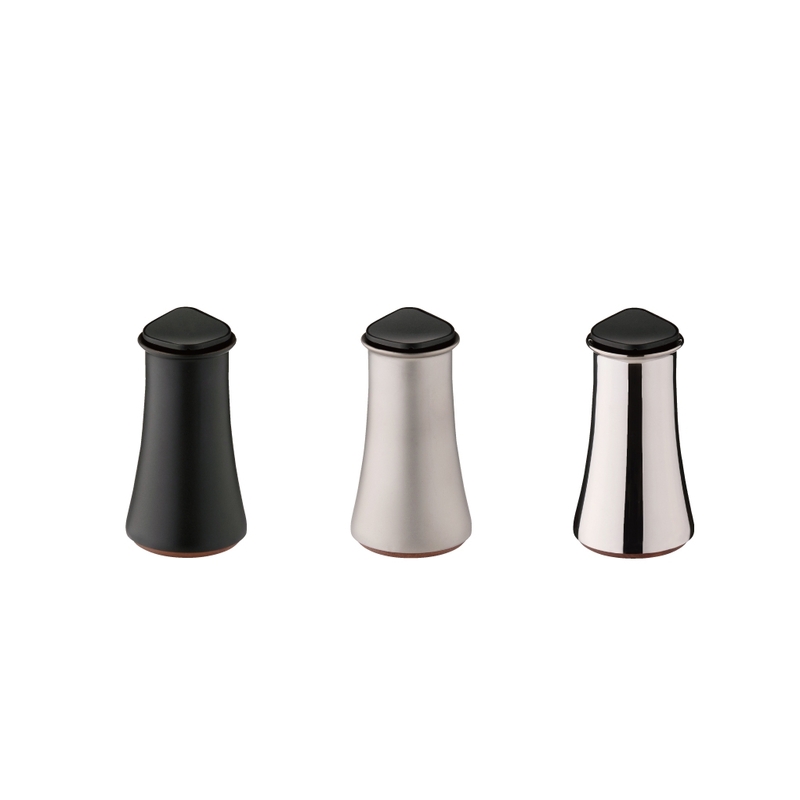 This soy sauce cruet is simple yet stable and with a stately design. The spout is designed for soy sauce to be poured easily. This product has a double structure, having a titan container with excellent corrosion resistance inside, and a stainless steel container outside. This makes it heat- and light-resistant. The floating cork lid prevents air from entering and causing the soy sauce to deteriorate, contributing to maintain a good smell and taste.